Jean talks about changes in the Barton and Tredworth area. Jean talks about her memories of working on Barton Street. Jean George talks about her experiences of being mayor of Barton and running a business in the Barton and Tredworth area. 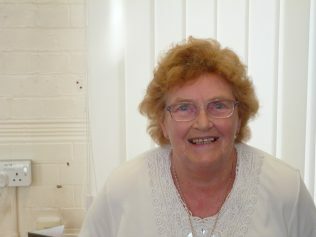 Jean was elected mayor of Barton at the age of 78. She first moved to the area in 1969 and bought a shop on Barton Street selling fancy goods and eventually greeting cards. 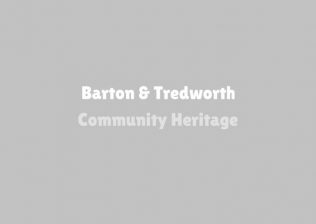 Jean explains in her interview how much Barton and Tredworth has changed over the years and remarks how there was more of a community spirit in the area earlier on. She continued to say how saddened she was by the fact that the larger supermarkets were driving local shoppers away from the area making local shop owners redundant and having to close. Jean talked about the PictureDrome theatre on Barton Street and how it was transformed by the help of the Anneka Rice program which aroused great interest and brought many people to the Theatre. Jean is very well known and a much loved figure in Gloucester and was missed after her retirement – so much so that it was mentioned in the Gloucester Citizen newspaper.